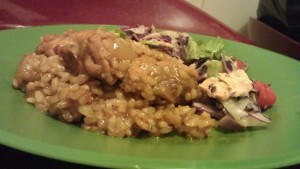 Spiced Chicken & Rice - Kosher In The Kitch! 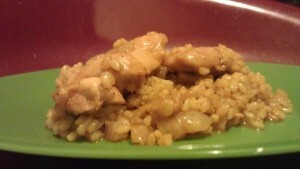 Spiced Chicken & Rice - Kosher In The Kitch! My husband is often traveling for business and upon his return home, I like to greet him with a nice home cooked meal. Of course this is really dependent on how well my son behaved that day. For if it was one of those hectic counting down to bedtime sort of days, I would sooner order him his fav takeout than enter the kitchen! However; if I have the energy to chop, dice and cook, then I’ll prepare a dish that will allow him to savor the comfort of being back home. He recently returned from a trip out of town, and it turns out it was was of those exhausting days; but knowing that he had lived off of nature bars, bananas and sandwiches had me feeling guilty enough to get into the kitchen and whip him up something wholesome and delicious. This recipe scored me points as a good wifey with it’s savory flavor and was quick and easy to put together. Garlic Powder, Black Pepper, Paprika, Salt & Cumin. Saute onions with 1 tablespoon olive oil in a large pot. 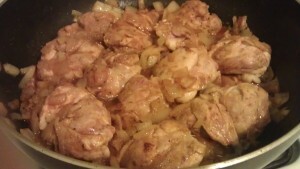 While the onions cook, combine the spices in a large bowl, then add the olive oil and mix well. Coat each chicken leg in the marinade. (I cut the chicken legs into smaller pieces however you can also cook them whole) Once onions are golden, add chicken legs to pot and cook each side about 5 minutes, until no longer pink. Then add the water and rice to pot, and allow to cook on low flame until rice has absorbed the water. (if you like it rich with flavor, you can add more of the spices to the rice and water mixture) Serve with Cracker Salad. 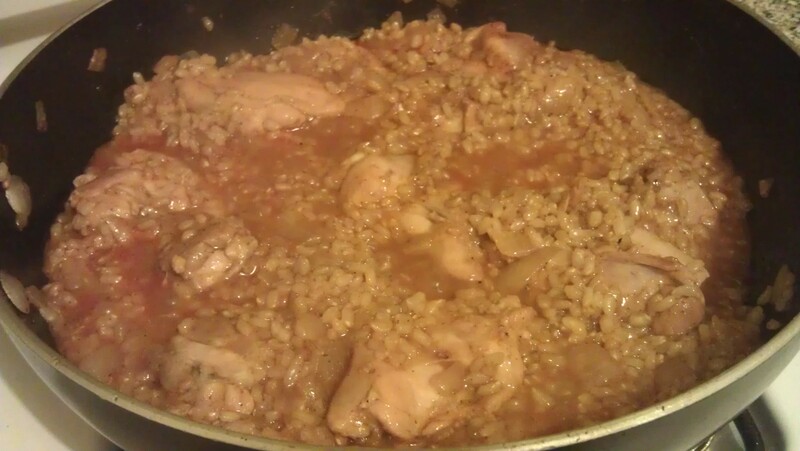 I use brown rice and it comes out great! Add more water if you want it more creamy. made this tonight – was delish! thanks for posting! Start off with 1 tsp of each, you can always spice more once cooked. I was looking for the cracker salad recipe suggested above, but couldn’t find a salad section or a search button. Help! Do you think this would work with drumsticks as well? I have never tried it with drumsticks but it should work. Let me know how it comes out!